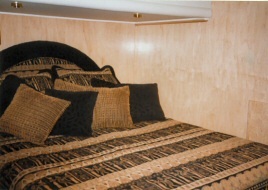 Sleeps 7, 3 staterooms and on settee berth. Two heads with showers. Propane stove/oven; refrigerator with freezer, microwave, icemaker, forced air cabin heat. 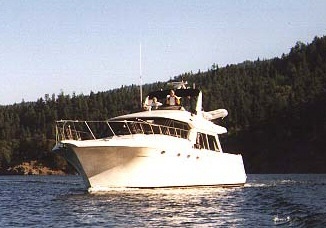 Twin 370hp Volvo diesels: 2500/w inverter; 10 KW generator; VHF, 32 mile radar, GPS map plotter, autopilot, engine synchros, Entertainment center- TV AM/FM, cassette stereo, CD player.